Click this link to visit their site and you’ll be able to request a free Silver Plated Breast Cancer Awareness Pin. They’re including free shipping and no credit card info is required. Thank you so much for this. My boyfriend’s mom has had breast cancer twice so I’ll wear this for her. Thanks I lost 2 Aunts to breast cancer .. I had breast cancer I am at my 4 year mark almost 5 years cancer free and still fighting and just lost someone I know to breat cancer ! 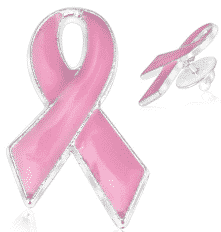 I Pray they find a cure for breast cancer. May GOD BLESS each person affected by breast cancer and their families…..
Wow this is an amazing offer! Thanks so much! Thank you for making this available, this is nice. My best friends mom has been fighting breast cancer for 5 years now! This is awesome, thank you for making this available! 32 years old with breast cancer.. been looking for a pin! I ordered for my mother who is breast cancer survivor….thank you! I ordered for my x boss who is breast cancer survivor….thank you! Mother and Father died of cancer. I ordered this for my mother , a breast cancer survivor in a nursing home now. Thank you so much! it doesnt show anywhere where to order a pin when i click on the link help? They are not longer available. 1SaleaDay products are only up for 24 hrs so unfortunately it won’t be back anytime soon.